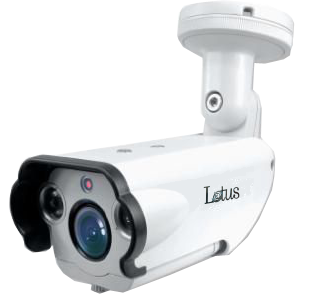 Lotus LCIR-H Series HYBRID FULL HD 1080P professional CAMERAS. 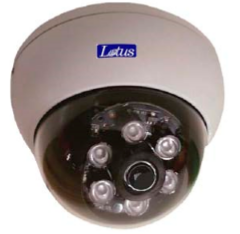 Lotus LCIR-H series is professional 4-in-1 hybrid infrared HD surveillance cameras which supports AHD, TVI, CVI, and Analog CCTV video formats that utilizes Sony CMOS image sensor to deliver high quality image with 1984(H)×1105(V), approximately 2.2M Pixels resolution. 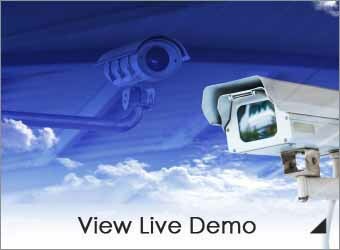 The Progressive Scan CMOS image sensor supports 1000TV lines of high resolution in analog CCTV mode and 1984 x 1105 (1080P) resolution in HD modes. 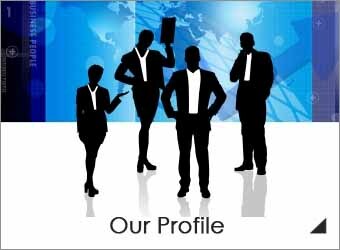 It is a newly developed solution that adopts a 2.8 µm unit pixel manufacturing technology to provide high sensitivity performance and high signal-to-noise ratio (SNR). LCIR-H series can achieve high picture quality, high resolution even in low illumination lighting environment. 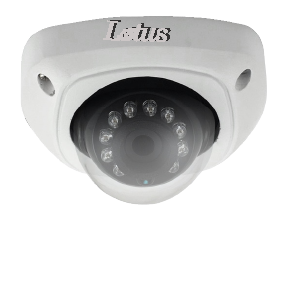 Lotus LCIR-H series is a cost-effective HD surveillance cameras designed for both indoor and outdoor IR video surveillance system. 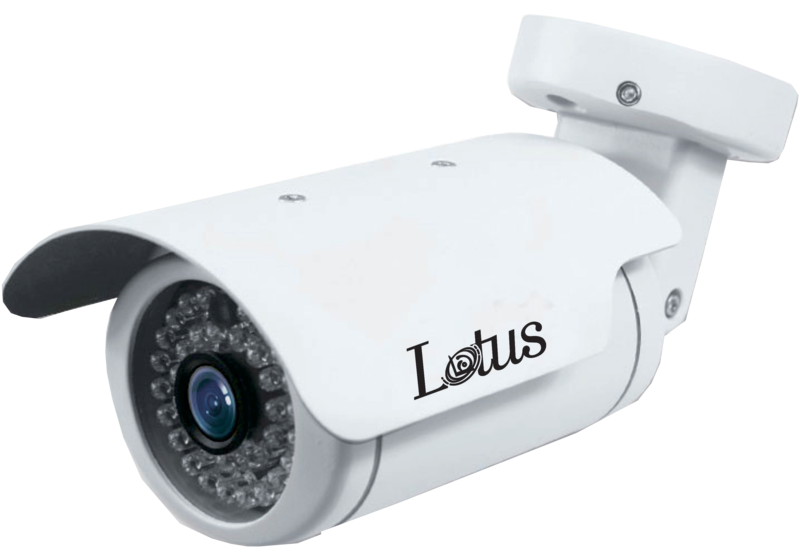 With the built-in Infrared LEDs, Lotus LCIR-H series is capable of viewing up to 50 meters / 150 feet in complete darkness. 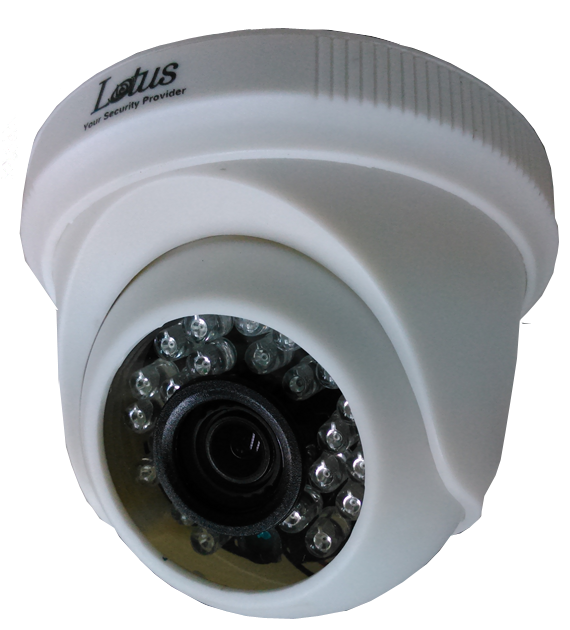 It is equipped with fixed 3.6mm (options: 6mm/8mm) or varies-focal lens 2.8mm ~ 12mm that allows user to adjust field of view for different installation environment. 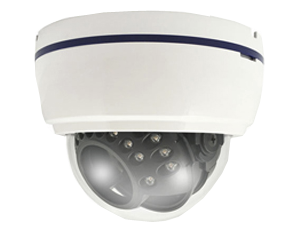 Some of LCIR-H series adopts rugged full metal body vandal-proof IK10 housing, full sealed design provides exclusive IP66 weatherproof protection to ensure the outdoor camera can withstand extreme weather conditions for reliable and long-term operation. It comes with tri-Axis gimbals bracket that completely concealed video and power cables of outdoor camera for easy ceiling and wall mount installation. 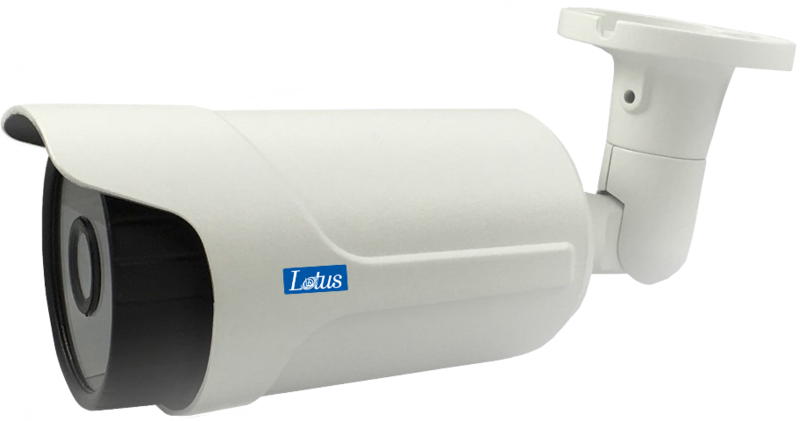 Lotus LCIR-H series is complete with external OSD navigator for switching video output format from AHD to TVI/CVI/CVBS.